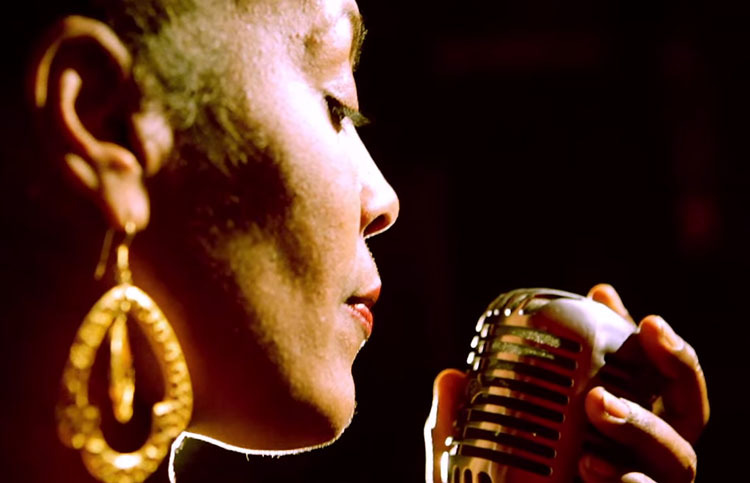 Originally from the Guantanamo province of Cuba, Xiomara Laugart began her career at the age of 15, performing several different expressions of traditional and contemporary Cuban music. During the 1980s, she entered the Adolfo Guzman Contest for Cuban music where she was granted the highest award. She went on to win other international awards at Poland’s Sopot Festival in 1985, and at Germany’s Dresden Festival in 1986. After having recorded self-titled albums in Cuba, she moved to Rome and later to New York. 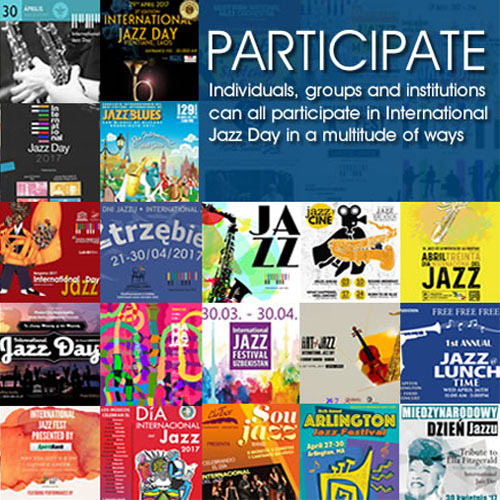 Soon, Xiomara was invited to be the guest singer on two jazz albums, Deep Rumba by Kip Hanrahan and Latin Lullaby by Ellipsis Art, and on Jacky Terrason’s new album What It Is released in April of 1999 by Blue Note Records. She also was featured in the first single from the recent album by Fun Loving Criminals released worldwide in 2001. Laugart’s monthly showcases at New York City’s famed underground Zinc Bar have been called legendary. Xiomara is currently a vocalist in Yerba Buena, whose first album President Alien was nominated for a Grammy. The songs from this first album have been used in Pepsi commercials, and in movies, such as Havana Nights. 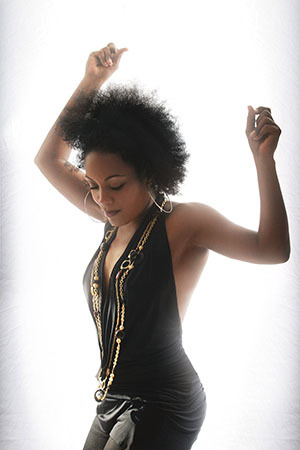 Yerba Buena’s second album Island Life, a brilliant mix of rhythms to which Xiomara adds her African and Caribbean legacy, was released in 2005. On Tears and Rumba, her third album for Chesky Records, Xiomara Laugart steps up to the plate with her own distinctive style to interpret some Cuban classics from the golden era of the 1920s. Tears and Rumba is a fine introduction to the singer-songwriter’s driven trova style from the city of Santiago and features works by two extremely influential composers of that era, Maria Teresa Vera and Miguel Matamoros. Laugart grew up listening and singing these tunes with her father, who encouraged her to sing starting at the age of five. “We heard these songs on the radio and everybody listened to the radio then,” she said of her Havana childhood. As the title of the record suggests the songs that Laugart interprets so elegantly range from the moody trova style standards like Vera’s “Ausencia” to the danceable son montuno of Matamoros’ “La Mujer de Antonio.” The heart wrenching lyrics of “Ausencia” speak about a love that will never be. Mixed with Yunior Terry’s stirring acoustic bass, they will have you sobbing in your mojito. But not to worry, Laugart, who has been influenced by Chaka Khan as much as by Vera and Matamoros, will have everyone packing the dance floor in a New York minute with her swinging versions of “La Mujer de Antonio” and “Nadie Se Salva de la Rumba,” made popular again during the 1980s by Celia Cruz. Featured on the album, a quintet of excellent musicians who are part of a new generation from Cuba that continues to flow into New York City. Yunior Terry provides the anchor giving the small band a big sound. Throughout the record, the melodies by guitarist Roman Lajara and flautist Javier Porta create a layer of sound joining Terry in creating the perfect intimate setting for Laugart’s nuanced phrasing. The Venezuelan Luis Quintero is the veteran of the group having played with everyone from Eddie Palmieri to Diana Krall. Gerardo Contino provided backup vocals and one of the youngsters of the group, Axel Tosca Laugart, the singer’s son, was responsible for the new arrangements.